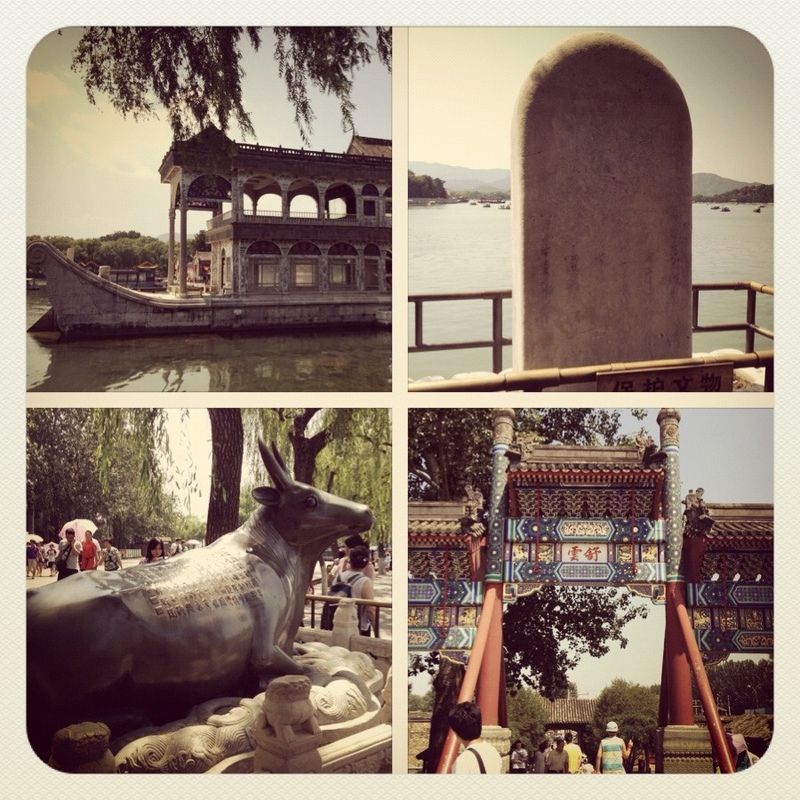 The Summer Palace was ranked as the number one must visit place for tourist in Beijing. So, despite wanting to shop more at Solitun, I persuaded Hubby to visit this place today. 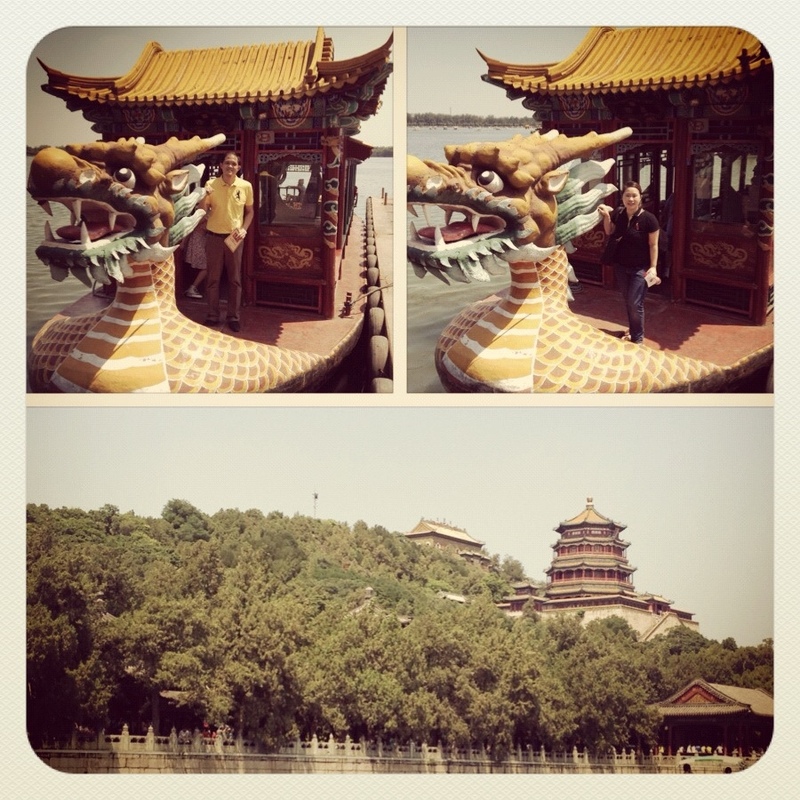 The Summer Palace, situated in the northwest suburb of Beijing, covers an area of more than 290 hectares. 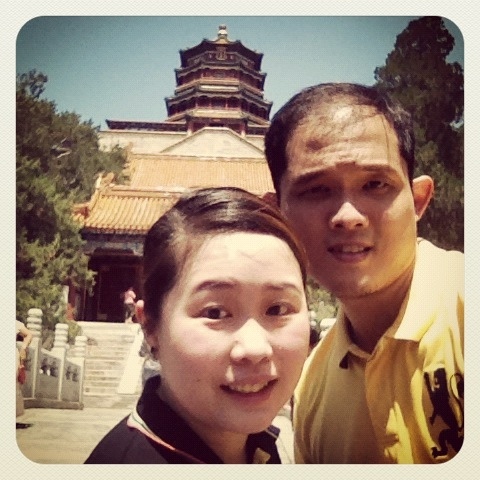 Originally name Garden of Clear Ripples, the Palace was built by Emperor Qianlong in 1750. It was burned down during the Anglo-French allied forces, rebuilt, then damaged again and was rebuilt again in 1902. This was hailed as the most perfectly preserved imperial garden in the world. The entrance to the Summer Palace is RMB60 and includes access to the Wenchang gallery, Suzhou street and the Temple of Fragrance of Buddha. 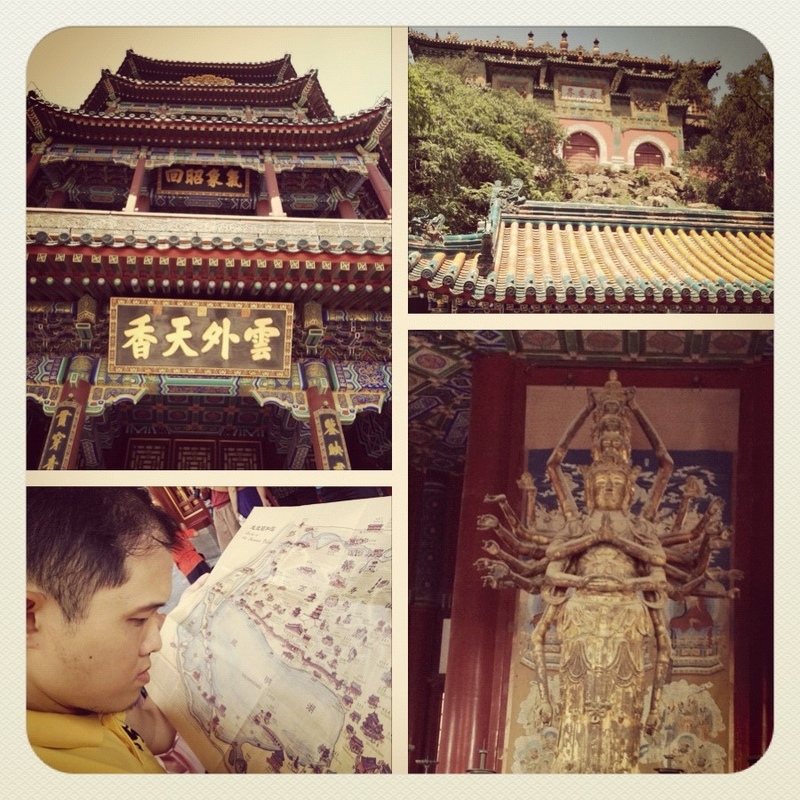 Except for the Suzhou street which is way up north, we got to visit the others. The climb to the Tower of the Fragrance of Buddha included climbing to the Hall of Dispelling Clouds which had a covered walkway. Upon reaching the top of the Hall of Dispelling clouds, you are faced with this huge wall and uncertainty of whether to proceed or not. We decided to proceed through the smoothened out stone walkway to the top. A Kuanin ma with multiple hands is what you’ll see after the climb. The panoramic view of the palace is what makes it worthwhile. 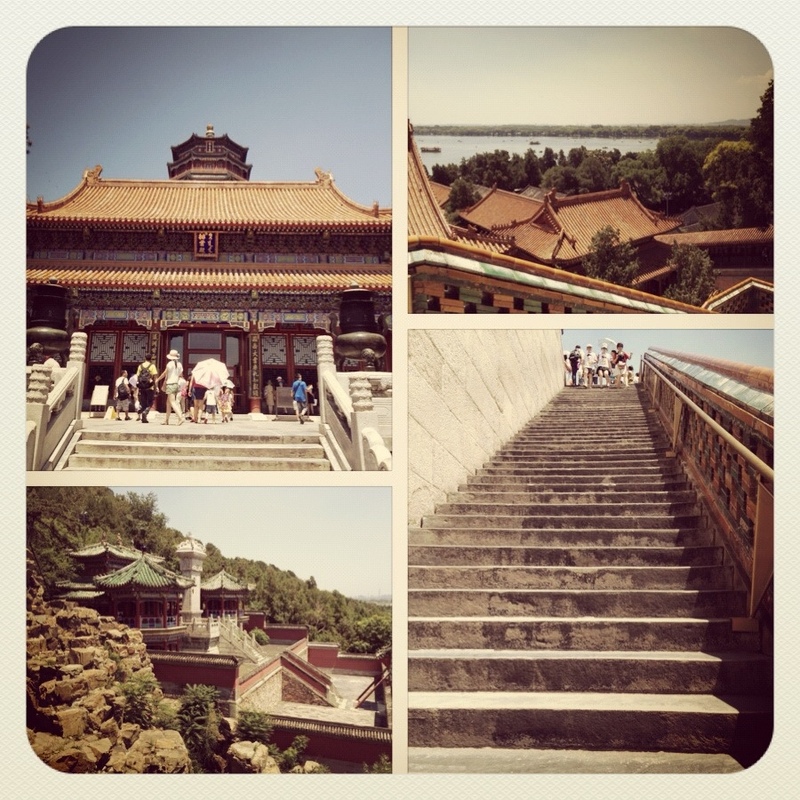 This magnificent tower stands high on the hillside facing south and gives you a spectacular view of the Kunming lake and the nearby halls and pavilions. After walking along the river, we decided to call it a day and caught a boat back to the Xin Nien Kunming entrance where the driver was waiting for us. 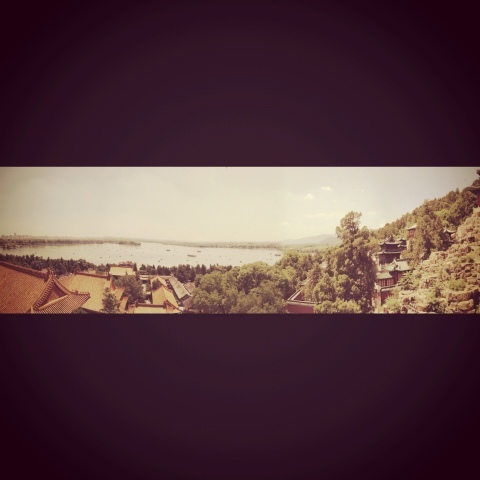 Here’s a panoramic view of the Kunming Lake from the top of the Buddha Tower.